I am definitely not one to ever say no to denim, I have easily a draw full of denim of all different shades and cuts. My love for denim steams from its versatility, durability and the fact that it takes no effort at all to look good. 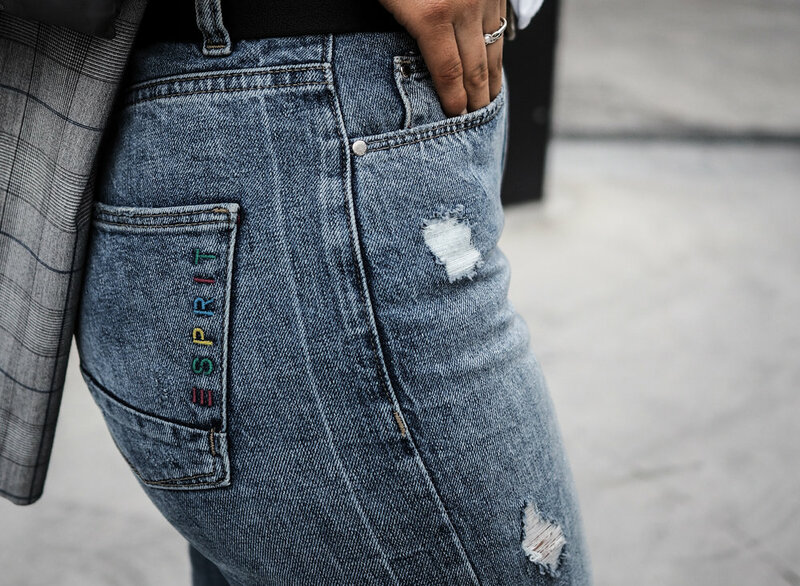 The latest pair I've added to my collection is Esprit's new Distressed Jeans from their Retro Collection, I love these mostly for the cut - they're in my favourite style Mum Jean but cropped Ankle Grazers. I've worn the above outfit far too often over the last few days, such classic pieces that definitely add value within the cost per wear spectrum.